As transport lawyers, we’ve been watching very closely the updates in the Bulgarian and European road transport legislation and the operator’s licence regime in particular. The trend in all EU countries is governments to put more pressure on international hauliers, in order to protect the local ones. Luckily, European legislation is not that easy to go around. This means that you will continue to benefit of being holder of Bulgarian Operator’s licence for transport of goods for hire and reward. We are happy to announce that we continue to provide operator’s licence services in compliance with the new changes in the law. In July 2014 the Bulgarian parliament adopted a change to the Road Transport Act, where they impose more stricter measures against ‘renting’ truck authorisations. Apparently there has been a pressure from Western Countries, who complained that a lot of hauliers who don’t fulfil EU O licence requirements, use truck authorisations from other companies. (d) have the requisite professional competence. The requirement in letter (a) is the one, which the inspectors are particularly after. There have been a lot of Belgian and Dutch companies, who got O licence from Bulgaria, but they were either ill advised by general practice lawyers or even worse – they got the O licence with the help of non-professional. This was relatively easy to be done 3 years ago, but the Transport Ministry tightened the rules, especially with the last legislation amendment from July 2014. So what does it mean? 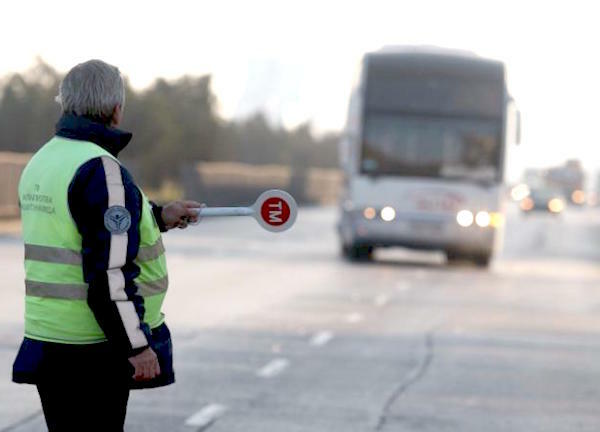 In summary this means that during any preliminary and interim check by Transport Agency inspector, your company need to provide satisfactory information that it is properly established in Bulgaria. The company needs to have all legally required facilities, such as operating centre etc. The company needs to have a proper office with all the company and operations paperwork available in this office anytime. Last but not least – the vehicles need to be registered in Bulgaria and either owned or rented/leased from another Bulgarian company. The abovementioned Belgian and Dutch companies were all having Belgian and Dutch registered vehicles under the Bulgarian licence, so they will have their licences revoked unless they register the trucks in Bulgaria and satisfy the establishment requirement. This is the second big amendment which was adopted in the Road Transport Act last summer. Тhe Road Transport Agency now has a vehicle register, where they record the number of authorisation issued and matches this number against the vehicles every operator’s licence holder operates. The practical issue here is that you can’t apply for extra authorisations, unless you show that you own/rent/lease a Bulgarian registered vehicle, which is not used by another company/person. The Agency checks in their register every time you apply for extra truck authorisation. Because we watch closely the legislation updates, we are prepared with solutions to every legislation problem. We provide to all our existing and future clients a no-hassle-business-model, where you concentrate on your haulage business whereas we do all the legal compliance work for you. We have helped many UK and Irish hauliers to establish transport companies in Bulgaria so they not only save money but also have become more competitive on the European haulage services market. Call us or email us for to get your Operators licence from Bulgaria now.